Please note that the address details for customer service queries can be found at the bottom of this page. The Website is provided to you for your personal use subject to these Terms and Conditions. By using the Website you agree to be bound by these Terms and Conditions. We reserve the right to update these Terms and Conditions from time to time for legal or regulatory reasons or to allow the proper operation of the Website. 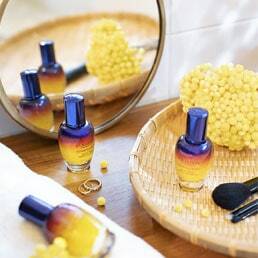 The content of the Website (including text, graphics, software, photographs and other images, videos, sound, trademarks and logos) is protected by copyright, trademarks, database right and other intellectual property rights, and belongs to L’Occitane. You may retrieve and display the content of the Website on a computer screen, store the content in electronic form on disk (but not any server or other storage device connected to a network) or print one copy of such content for your own personal, non-commercial use, provided you keep intact all and any copyright and proprietary notices. You may not otherwise reproduce, modify, copy or distribute, or use for commercial purposes, any of the materials or content on the Website without our written permission. • create links to the Website from any other website, without the prior written consent of L’Occitane, although you may link from a website that is operated by you provided the link is not misleading or deceptive and fairly indicates its destination, you do not imply that we endorse you, your website, or any products or services you offer, you link to (and do not frame or replicate) the home page of our website, and the linked website does not contain any content that is unlawful, threatening, abusive, libellous, pornographic, obscene, vulgar, indecent, offensive or which infringes the intellectual property rights or other rights of any third party. Except as expressly set out here, nothing in these Terms and Conditions gives you any rights in respect of any intellectual property rights owned by L’Occitane Limited and you acknowledge that you do not acquire any ownership rights by downloading or using any content of the Website. Although we aim to offer you the best service possible, we make no promise that the services at the Website will meet your requirements, that the services will be fault-free, or that the Website will be available at all times. These Terms and Conditions apply to all products supplied by L'Occitane Limited (‘L’OCCITANE IRELAND'). Please read these terms and conditions carefully and retain a copy for future reference. No contract exists between you and us for the sale of any products until we actually dispatch the products to you. Once we do so, there is a binding legal contract between us. The contract is subject to your right of cancellation (set out below). We may change these terms of sale without notice to you in relation to future sales. The description of the products you order will be as shown on the website at the time you place your order. Whilst we try to display the colours of our products accurately on the Website, the actual colours you see will depend on your computer and we cannot guarantee that your monitor's display of any colour will accurately reflect the colour of the product on deliver. For practical reasons the packaging of our products may vary from what is shown on the Website. The products are subject to availability. If, for any reason beyond our reasonable control, we are unable to supply a particular item, we will inform you as soon as possible, and refund or recredit you for any sum that has been paid by you or debited from your credit card for the products, unless you wish to accept substitute goods of equivalent quality and price. Our online store is available for non-commercial customers only. We reserve the right to refuse orders from businesses or orders that we consider are for commercial or other non-domestic concerns. We reserve the right not to supply products to individual customers in response to orders where it is reasonable to assume they will be reselling them. The products are not intended for resale. Every effort is made to ensure that the prices shown on the Website are accurate at the time you place your order. If, by mistake, we have under-priced an item, we will not be liable to supply that item to you at the stated price. If, by mistake, we have under-priced an item which we have offered on a purchase with purchase or special price basis, we will not be liable to supply that item to you at the stated price. If, by mistake, we have under-priced an item which we have offered on a gift with minimum purchase basis, we will not be liable to supply that item to you at the stated price. If, by mistake, we have under-priced an item, and this under-pricing means that your purchase value is no longer sufficient to entitle you to receive a gift which we are offering on a gift with minimum purchase basis, we will not be liable to supply that gift to you. If an error is found, we will inform you as soon as possible and offer you the option of reconfirming your order at the correct price or cancelling your order. If you cancel, we will refund or recredit you for any sum that has been paid by you or debited from your credit card for the products. In addition to the price, you will be required to pay a delivery charge for the products, as shown in the section of the Website about Delivery Rates and Options. The price of the products and delivery charges are shown in pounds Sterling and are inclusive of VAT. No matter how many items you order, our standard IRELAND delivery rate is €4.99. We are able to process your order within 2 working days (subject to stock availability), and deliver within 2-4 working days. *Delivery is usually free for orders of €30 or more, except during promotional periods. Our Click and Collect service gives you another great way to shop your favourite products at L’OCCITANE. Simply order online and then choose a boutique to pick up at a time that suits you. The service is free and we will send an email to let you know that your package has arrived and is ready for collection. Go into the boutique and speak to any of our store team who will happy to help with your order. Delivery to store can vary from 4 hours to 3 working days subject to stock availability. Orders must be placed before 1pm. We will hold your order in-store for a maximum of 15 days from the date the items arrived in your chosen store. Please check store opening times. If you are a consumer, you have the right to cancel the contract at any time up to the end of fourteen days after you receive the products (see below). To exercise your right of cancellation, you must give written notice to us at the address or email address shown below, giving details of the products ordered or their order number. If you exercise your right of cancellation after the products have been delivered to you, you will be responsible for returning the products to us and send the products to us without undue delay and within 14 days after the day in which you let us know that you wish to cancel the contract. The products must be returned to the address shown below. You must take reasonable care to ensure the products are not damaged in the meantime or in transit. (b) the products become mixed inseparably (according to their nature) with other items after delivery. Refunds will be processed via the same method used by you to purchase the products, unless you expressly agree another form of payment with us. If you return a product because it is defective or we have delivered the item to you in error we will refund the price of the products in full, together with any applicable delivery charges, and any reasonable costs of doing so (we estimate that such costs should not exceed the value of the products). In other circumstances, you will be responsible for the costs of returning the products to us. It is L'OCCITANE's intention to satisfy our customers. 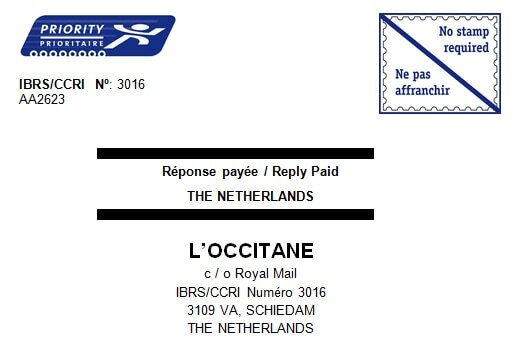 For this reason, in addition to your rights above we will gladly issue an exchange or a full refund to the original debit card, credit card or PayPal for any unopened merchandise bought on www.loccitane.ie or in one of our IRELAND boutiques (excluding Kildare, department stores and airport stores) that is returned within 28 days of the date of purchase. Purchases made in our Outlet boutiques will be subject to an exchange only, and can be returned only to an Outlet store. Items purchased on a gift card can only be refunded to a gift card. Gift cards are non refundable. Please note that (except where you exercise your rights above) we cannot offer exchanges or refunds on any opened or used products. To return any items, please go to your nearest boutique or contact Customer Service by email at contact@loccitane.ie or by telephone on 1800 901 501 - Monday to Friday 9am to 6pm, Saturday 9am - 5pm. If you are returning your items by post, click here to download our return form and click here to print our FREEPOST return label. Please allow 28 days from the day you return your package for your request to be processed. The above does not affect your legal rights as a consumer. We accept payment by Visa, MasterCard, American Express, Maestro, Solo, PayPal, Delta and Switch. We also accept payments made via PayPal. We apologise for not accepting Diner's Club. L'OCCITANE takes online security very seriously. To check the security of our Website, simply look in the lower bar of your browser when you fill in your payment details. You will see an unbroken key or closed lock, showing that encryption is active and your information is secure. For security reasons, we strongly recommend that you do not send credit card numbers by standard email but use the secure facility provided on the Website. When you place your order on the Website you are offered the use of an advanced secure server. The secure server software encrypts all information you input before it is sent to us. Encryption creates billions of code combinations to protect each transaction made on the Website, so your card details cannot be viewed by anyone else using the Internet. No credit or debit card details are stored once your order has been placed, unless you have given us permission to do so. Credit card information is stored safely and securely. We guarantee to comply with the standards, procedures and requirements laid down in the Irish Data Protection Acts 1988 and 2003 to ensure that your personal information is kept secure and processed fairly and lawfully. 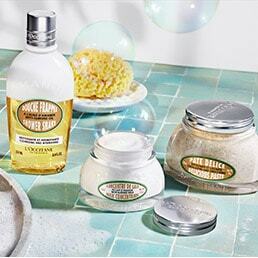 Occasionally L'OCCITANE.com offers promotions through e-mails, catalogues, and advertisements. 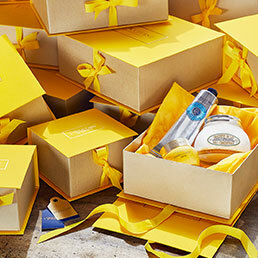 Once you sign up for our L'OCCITANE.com email newsletter, you may receive e-mail promotions and offers that include special codes for special free delivery or other discounts. To sign up for our e-newsletter please visit our Email Signup page. Promotional codes, unless otherwise stated, are to be redeemed one gift per customer, not to be combined with any other promotion or discount, while stocks last, and excludes our IRELAND Outlets, concessions/independent retailers, department and airport stores. 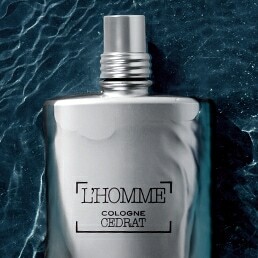 L’Occitane reserves the right to substitute the gift with another one of the same or similar value. As a consumer, you have legal rights in relation to products that are faulty or not as described. Advice about your legal rights is available from your local Citizens' Advice Bureau or Trading Standards office. Nothing in these Terms and Conditions will affect your legal rights. We shall not be responsible for any breach of these Terms and Conditions caused by circumstances beyond our reasonable control. If we are in breach of these Terms and Conditions, we will only be responsible for any losses that you suffer as a result to the extent that they are a foreseeable consequence to both of us at the time you use the Website. Our liability shall not in any event include business losses such as lost data, lost profits or business interruption. This does not affect any liability we may have for personal injury or death resulting from our negligence or from our fraud, or any other liability that cannot be excluded or limited by law. 20% discount offer is for one transaction per customer only. Valid from 4th to 6th January 2019 on full price items only and excludes gift sets, Reset Serum and discounted items. This offer cannot be exchanged for cash. Offer cannot be combined with any other discount, promotion or gift card purchase. Offer valid at LOCCITANE.CO.UK and participating boutiques only (excluding Bicester Village, Cheshire Oaks, Portsmouth, independent retailers, department and airport stores). These Terms and Conditions will be subject to Irish law. We will try to solve any disagreements quickly and efficiently. If you are not happy with the way we deal with any disagreement and you want to take court proceedings, you must do so within Ireland. 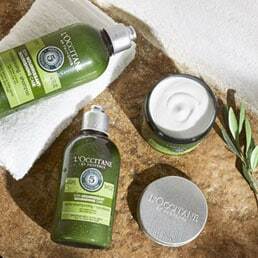 For further information about Our products, or to deal with any queries, please contact our Customer Service Department by email at contact@loccitane.ie or by telephone on 1800 901 501 - Monday to Friday: 9:00am-6:00pm and Saturday 9:00am to 5:00pm (excluding Bank Holidays) Sunday: Closed. This competition will run until 23:59 on 31st May 2019. 1. The winner will be selected at random, after the competition; deadline is 31st May 2019. Entries made after this point will not be counted. 2. This Offer is exclusive to The Bath Priory Hotel and cannot be used in conjunction with any other offer, or redeemed for monetary value. It is redeemable Sunday – Friday, excluding bank holidays. The offer can be redeemed until the 1st March 2020. 3. The contest is open to residents of the United Kingdom (England, Scotland, Wales and Northern Ireland) & Republic of Ireland over except for L’Occitane Limited employees, all contractors and families or anyone directly connected with the organisation, and operators of its brands and concessions. -3-course dinner in the 3AA Rosette restaurant. -One 90-minute treatment Sleep & Reset Massage per person. -Arranged transport that is required for the winner (train travel or flights). Travel expenses only cover travel to and from The Garden Spa and will consist of standard class travel. L’Occitane will book winners travel but cannot be responsible for unforeseen cancellations of travel due to circumstances beyond our control. -Any other expenses incurred during the period of the prize will be the responsibility of the prize winner and their companion. 5. If you are the lucky winner, you will need to provide your email address, contact phone number and home address as instructed at the time of being announced as our winner. Further details will then be provided by L’Occitane as to how you claim your prize. 6. We reserve the right to provide an alternative prize of equal or greater value in the event of unforeseen circumstances. 7. Only one entry per person will be accepted. In the event of multiple entries being received, the first entry only will be accepted. 8. No purchase is necessary, however you will need an internet connection. No refund may be claimed for expenses incurred in participating in the promotion, including in relation to the use of the internet. 9. We reserve the right to exclude any entries which we believe to be inappropriate, fraudulent or based on misconduct. 10. The prize is non-transferable, non-refundable and cannot be exchanged for any cash alternatives in whole or in part. 11. The winners will have 48 hours to claim their prize from the date that they are announced as a winner. After this time we reserve the right to select a new winner. 12. The decisions of the promoter are final and no correspondence will be entered into. 13. By taking part in this promotion, all participants consent to us collecting, storing and using their personal data submitted with their entry for the purposes of this promotion. 14. Any personal data relating to participants will be used solely in accordance with current UK data protection legislation and will not be used for marketing purposes without the individual’s prior consent. 15. The winner's name can be obtained by sending an SAE and covering letter to: L’Occitane, Capital House, 25 Chapel Street | London | NW1 5DH, after closure of the promotion. 16. The promoter does not accept responsibility for entries that are lost, damaged or delayed. For example, as a result of network, system development, computer or telecommunications failures or fault of any kind - including any hardware, programming code, databases or software used in the promotion. 17. Winners may be required to participate in related publicity without further reward. E.g. : be photographed for website/newspaper stories, provide a short statement about their win. 18. The promoter reserves the right to withdraw or amend without notice this promotion in the event of any unforeseen circumstances outside of its reasonable control. 19. This promotion and these terms and conditions are governed by English law and subject to the exclusive jurisdiction of the English courts. 1. To participate in this competition, users must sign up via the 'WIN A Luxury1-Night Stay at Hotel du Vin' registration page. This competition will run until 23:59 on Thursday 30th May 2019. Entries made by direct reply to this T&C page will not be accepted. 2. The 1 winner will be selected at random, after the competition deadline of 23:59 on Thursday 30th May 2019, who has fulfilled the criteria in 1) above. Entries made after this point will not be counted. 3. The contest is open to residents of the United Kingdom (England, Scotland, Wales and Northern Ireland) & Republic of Ireland over except for L’Occitane Limited and to Malmaison and Hotel du Vin employees, all contractors and families or anyone directly connected with the organisation, and operators of its brands and concessions. 5. The competition prize is subject to availability and excludes Saturday nights and selected peak periods including but not limited to Valentine’s, Easter and Christmas and New Year. 6. The competition prize includes a 2 course dinner which is available from our prix fixe menu or an allocation of £18.95 per person may be taken from the a la carte menu. 7. The competition prize includes a societe du vin membership which entitles the prize winner to 20% off all food and beverage and 10% off room stays, full T & Cs can be seen here https://www.hotelduvin.com/about-us/societe-du-vin/. 8. If you are the lucky winner, you will need to provide your email address, contact phone number and home address as instructed at the time of being announced as our winner. Further details will then be provided by L’Occitane as to how you claim your prize. 9. We reserve the right to provide an alternative prize of equal or greater value in the event of unforeseen circumstances. 10. The promoter reserves the right to cancel or amend the competition and these terms and conditions without notice in the event of a catastrophe, war, civil or military disturbance, act of God or any actual or anticipated breach of any applicable law or regulation, or any other event outside of the promoter's control. Any changes to the competition will be notified to entrants as soon as possible by the promoter. 11. Only one entry per person will be accepted and any duplicates will be removed. 12. We reserve the right to exclude any entries which we believe to be inappropriate, fraudulent or based on misconduct. 13. The prize is non-transferable, non-refundable and cannot be exchanged for any cash alternatives in whole or in part. 14. The winners will have 48 hours to claim their prize from the date that they are announced as a winner. After this time we reserve the right to select a new winner. 15. The decisions of the promoter are final and no correspondence will be entered into. 16. By taking part in this promotion, all participants consent to us collecting, storing and using their personal data submitted with their entry for the purposes of this promotion. 17. Any personal data relating to participants will be used solely in accordance with current UK data protection legislation and will not be used for marketing purposes without the individual's prior consent. 18. The promoter's decision in respect of all matters to do with the competition will be final and no correspondence will be entered into. 21. The winner's name can be obtained by sending an SAE and covering letter to: L’Occitane, Capital House, 25 Chapel Street | London | NW1 5DH, after closure of the promotion. 22. This promotion is in no way sponsored, endorsed or administered by, or associated with, Instagram or Facebook. You are providing your information to L’Occitane and not to Instagram or Facebook. By participating in this promotion you agree to a complete release of Instagram or Facebook from any claims. 23. The promoter does not accept responsibility for entries that are lost, damaged or delayed. For example, as a result of network, system development, computer or telecommunications failures or fault of any kind - including any hardware, programming code, databases or software used in the promotion. 24. Winners may be required to participate in related publicity without further reward. E.g. : be photographed for website/newspaper stories, provide a short statement about their win. 25. The promoter reserves the right to withdraw or amend without notice this promotion in the event of any unforeseen circumstances outside of its reasonable control. 26. This promotion and these terms and conditions are governed by English law and subject to the exclusive jurisdiction of the English courts. 27. Entry into the competition will be deemed as acceptance of these terms and conditions.